It’s a natural desire for the human soul to return to the basic simplicity of life to attain bliss, yet stay connected to a world that that has evolved exponentially. Splash, the high street maven explored that new dimension of the world by paying homage to simplicity and infusing the luxury of fashion that surrounds us. ‘Brave New World’ showcased the Spring Summer’ 15 collection that urged us to go back to where it all started. While we move towards getting into the Zen mode, we are also incorporating the city landscape and lifestyle into the larger picture. Splash presented pieces that were an amalgamation of the luxe fabrics in simple, basic silhouettes. The season’s hottest trends were interpreted in a way that appeared almost close to nature at an elevated level. Raza Beig, CEO Splash & ICONIC added, “This season was about exploring the roots and going back to our basics from where it began and so we presented a very clean, minimalistic collection that infused the modernity around us. We highlighted two key themes namely Luxe Zen & Gypset. In terms of the venue we wanted to have an open air area surrounded by the beautiful Dubai skyline that juxtaposed our nature- inspired runway adorned with geometric installations and trees. The breathtaking venue Rooftop Terrace at Jumeirah Emirates Towers was divided into three stunning areas with the guests first being welcomed into the pre-party zone which served them premium refreshments and time to mingle and soak in the décor. The main show area was transformed into a garden which brought out the contrast yet highlighted the way nature and modernity blends in seamlessly. 42 models sashayed down the runway in a surreal set that came to life with the energy from the audience. Post the show, the guests moved to an exclusive party arena that was created which saw them dancing into the wee hours of the night to the latest tracks of DJ Kennedy. The VIP show was attended by UAE’s crème de la crème which saw Raza Beig walk the finale with Nisha Jagtiani amidst a thunderous round of applause. All fashion followers and Splash customers also got a taste of the season’s most awaited runway action across 2 shows earlier in the evening. To maximize the reach of the shows and celebrate fashion on a larger scale, the 3 shows were live streamed on all the brand’s social media platforms along with other leading online platforms across the Region, where a million or more fans and consumers watched the Splash fashion show. The collection presented on the runway will be available from mid-April in store while all the looks from the catwalk are available on www.landmarkshops.com/splash and Facebook.com/Splashfashions for choosing your favorite pieces and in case you want to revisit moments from the show tune in to Youtube.com/SplashFashion. 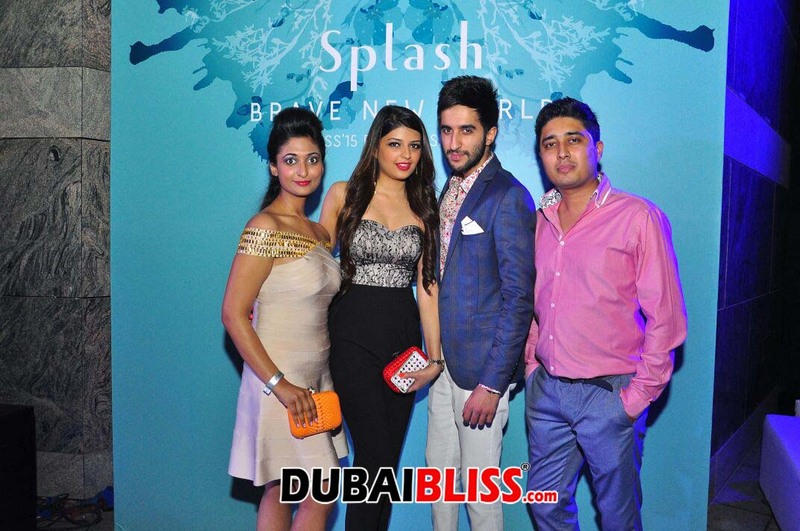 Previous articleZayn Malik’s Dubai fans sell their tickets on Dubizzle!